ATLANTA, GA (February 20, 2018) – Berkshire Hathaway HomeServices Georgia Properties today announced that Susan Fitzgerald was honored as the 2017 #1 Individual Associate for Sales Volume. The Elite Associates Recognition Event, exclusively for the Berkshire Hathaway HomeServices Chairman’s Circle was held at historic Ansley Country Club. Susan was also recognized for achieving the Chairman’s Circle Diamond level which represents the top one half of one percent in the entire Berkshire Hathaway HomeServices global network. 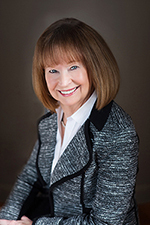 Susan Fitzgerald affiliated with the Peachtree City office of Berkshire Hathaway HomeServices Georgia Properties in 2011 and has consistently been recognized as a #1 Individual performer.